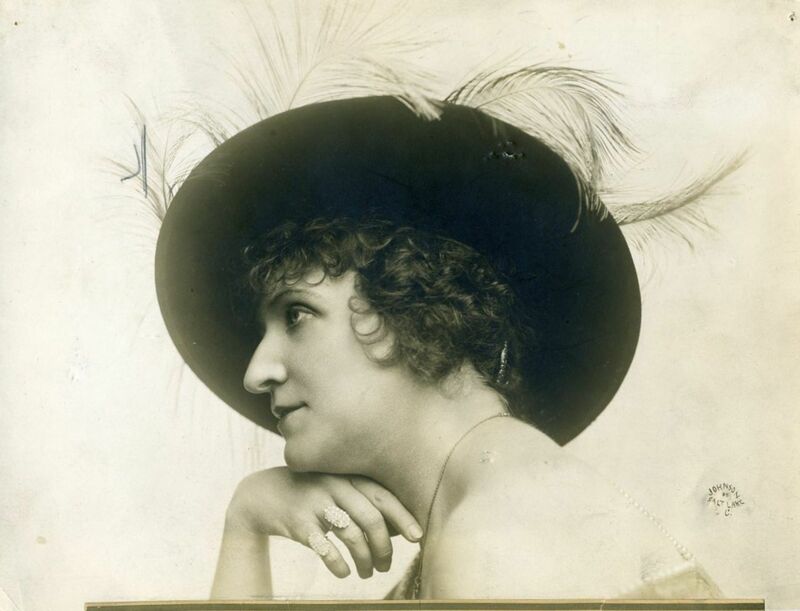 Pearl SANS Profile ORG Johnson SALT LAKE C PHOTO E656 Click to Enlarge Click to Enlarge Inventory: E656 Comment: Not sure if Pearl was a Vaudeville or Opera star, but she was pretty! Any insight on this photo is welcomed! Cast: Pearl Sans Setting: Publicity Date: 1920 Size: 7.4 x 9.5" Weight: Double Condition: some surface mar discoloration. See Scans for condition of photo. If further info on condition is needed, please contact me. Original: Yes Finish: matte Keywords: large hat with feathers store link: http://www.stores.ebay.com/yesterdayswhisper Check back often or you may miss a great original photo! Collecting Movie Photos is a great source of enjoyment for the avid collector or the beginning novice. It's a great time to start a collection as is a great vehicle allowing you to find your all time favorite vinatge Hollywood movie star photographs at the touch of a keystroke! Movie photo Collections can serve as a decorators dream, target a theme for a home decor, theatre room or professional office. Great gift for the hard to buy for person. I include keyword information in my listings so it is easy to search for a particular theme in my Store search box. Shipping Terms Flat rate shipping charge of 4.95 Domestic including Canada, 7.95 International. New Policy â“ Flat rate applies to “All you can purchase within a 3 day period” unless other arrangements made with seller. Payment Terms PayPal, , Bank Drafts are the preferred method of payment, Personal Checks are accepted with positive feedback of 100 for Domestic orders. International Orders must be paid in U.S. Dollars by PayPal. DO NOT DUPLICATE OR COPY! Template Made By: Â InkFrog.com saleTemplates, Logos, Store fronts and more!